The European concept supermarket, Mercato in Pavilion Kuala Lumpur has recently refurbished their store to offer customers a new shopping experience like no other. 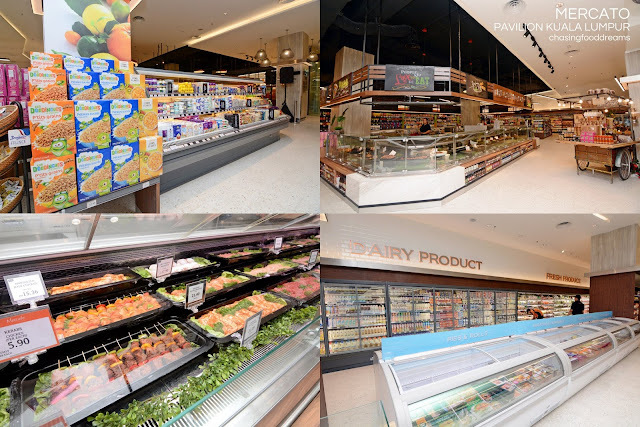 Sporting fresh new ambiance with appealing décor and wide aisles, the transformed Mercato now offers an even wider range of premium and international food selections. Besides the new transformation, Mercato has elevated its concept with two new eateries – Oyster & Seafood Bar by Mercato and Mercato Café. 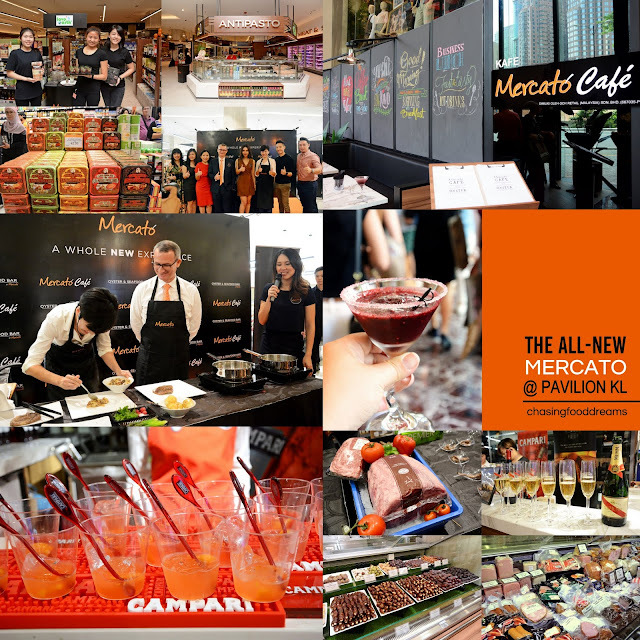 Members of the media and bloggers along with distinguished guests were invited for a sneak peek at the relaunch of Mercato in May. The event took off with a welcoming speech by Mr. Pierre Olivier-Deplanck, CEO of GCH Retail (Malaysia) Sdn. Bhd., the parent company of Mercato. To elevate the shopping experience with Mercato, customers can also opt for the complimentary delivery service when they spend RM200 or more, with delivery within 10km radius of the store. 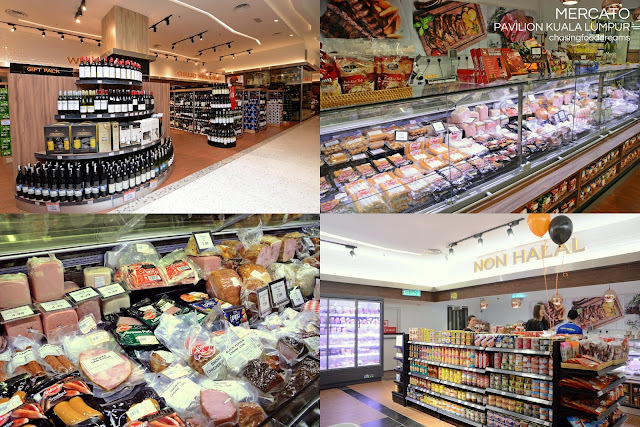 Alternatively, Mercato also provide service to customers for assistance in carrying their shopping to their cars. 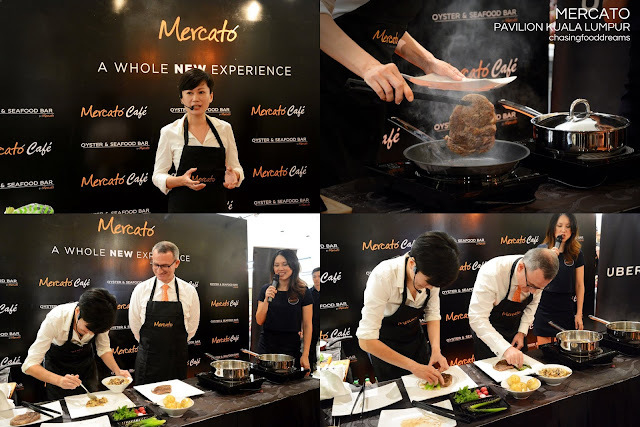 There was also a cooking demonstration by MasterChef Malaysia celebrity chef, Celina Khor. Chef Khor showed how easy it was to whip up a scrumptious steak and potato dinner completed with mushroom sauce using the store’s quality ingredients. It was then a battle off with Chef Khor and Mr. Olivier-Deplanck on whose plating was deemed the best for the steak. While Chef Khor went minimalist and classic for her presentation, the CEO of Mercato took creative as inspiration with his plate of steak that came with our twin tower representation on the plate using asparagus. The event than had a surprise with a flash mob dance routine that was then followed by photo session with the Mercato team and its distinguished guests. 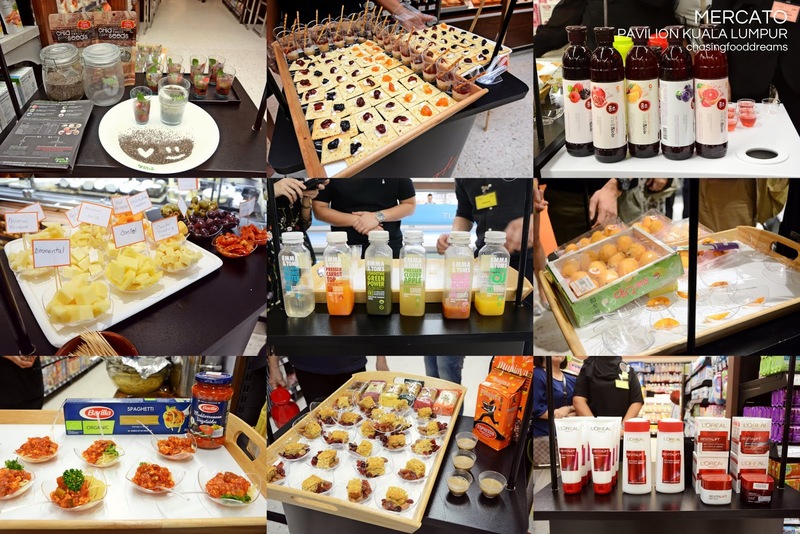 A Mercato experiential food tour led by Mr. Olivier-Deplanck had everyone experiencing first hand at the newly furbished marketplace designed with luxury of space in mind. Mercato has also increased their grocery food assortment from around the world by 35% to feature new items that are not available by other mass commercial outlets. 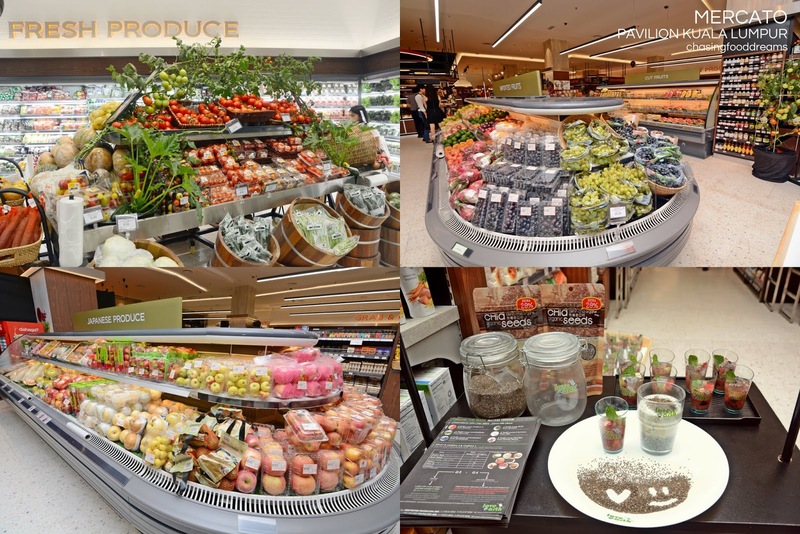 The tour highlighted new ranges of food produce and offerings for locals and expats. 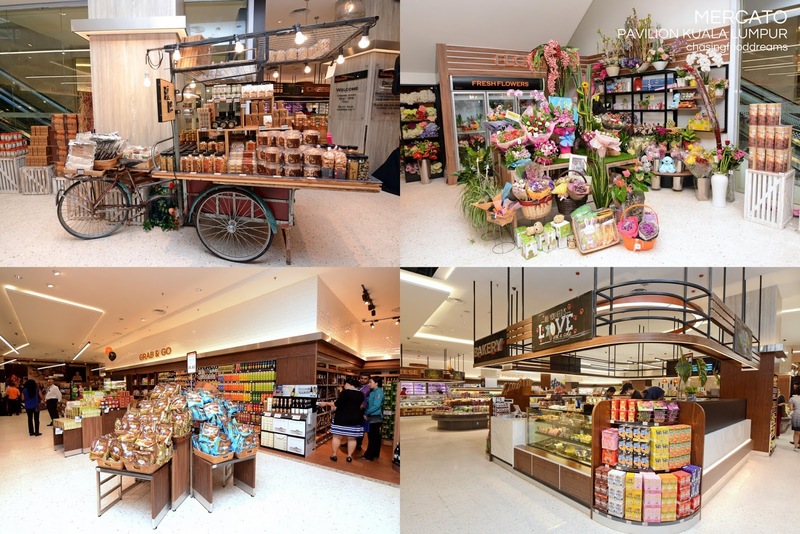 Highlights include a new Taste of Asia range with approximately 600 different items from Asian countries, a Malaysia Delight range from confectionary offerings to tourist favorites featuring famous landmarks of our country. Fresh produce increased by 20% to feature imported fresh fruits and vegetables from Australia, Japan and USA. Customers can now savor Dorper Lamb and Wagyu beef from Australia as part of the increased selection of locally and internationally sourced meats and seafood. There is even a specialist butchery service available. 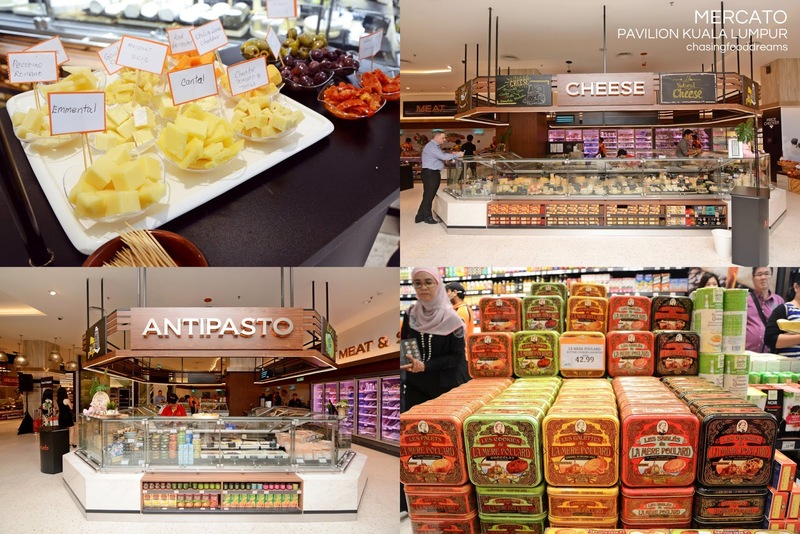 Cheese lovers prevail at Mercato with its selections of over 100 types of cheese imported from around the globe. The bakery is now filled with artisan bread, special cakes for birthdays and custom creations for special occasions as well as a new Ready-to-Eat counter filled with lots of freshly prepared food for takeaways. A Middle Eastern counter showcases a gorgeous selections of Middle Eastern pastries, sweets and dates, guaranteed to satisfy any sweet-tooth foodies! Mercato’s new Premium Wine Room stores First Growth Wines range, featuring some of the finest wines from all over the world. A new bar is available for wine tasting events on occasions. To enhance the media tour that day, we were all treated to some of the finest from Campari Orange to Sangre de Toro by Torres and G.H.Mumm Champagne. 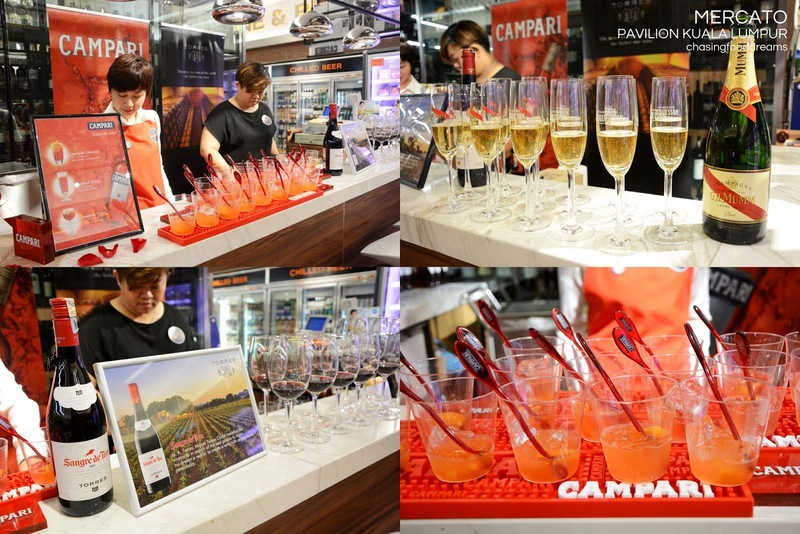 The tour had everyone visiting 16 sampling booths featuring local and international products that is now readily available at Mercato. Our food tour ended at the Oyster & Seafood Bar by Mercato and Mercato Café where we catch first glimpse of the two new eateries that are bound to be a foodie’s haunt. Mercato Café is one of the first café to feature three Chocolate fountains as well as Pierre Ledent Maitre Chocolatier. 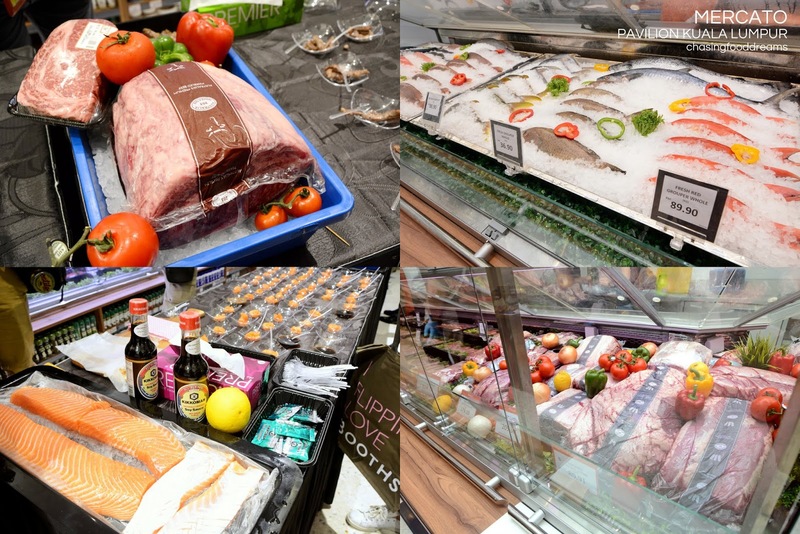 The all-new Mercato is open from 10.00am to 10.00pm from Monday to Sunday.